Call it genuinely or manipulatively sentimental, the score for Steven Spielberg’s War Horse is distinctly John Williams’. When I first heard it on the big screen, I fell in love with it and the movie. I think this is the priceless gift that is the Spielberg-Williams partnership. They want you to like what you see and hear. The score is evocative of the time, set in the early 20th century on the cusp of WWI. Including some of the highlights below, Williams does great work with such tracks as ‘Plowing’, a piece that grinds on rhythmically like Joey the horse doing inspired field work on a gloomy rainy day. 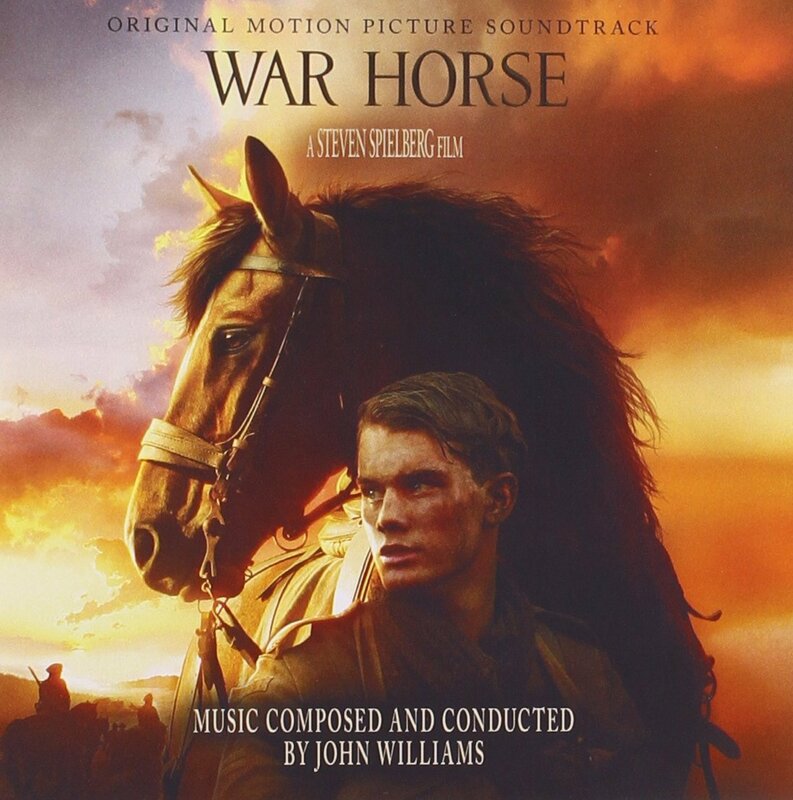 The score takes on an ominous, militaristic tone in tracks such as ‘The Charge and Capture’ and ‘Pulling the Cannon’, depicting the horrors of WWI and the patriotism shown. In ‘No Man’s Land’, a quiet, unsettling atmosphere gives way to an action-packed section, detailing Joey’s heroism and escape. Overall, it is an excellent score, but nowhere near his late career masterpieces Memoirs of a Geisha (2005) and Lincoln (2012). ‘Dartmoor, 1912’ – Williams sets the mood with a beautiful composition that so vividly depicts the pastoral and bucolic English countryside that you could almost smell the earth and feel the cool dew on your skin. Starts with a lone flute, before the sweeping strings come into play. 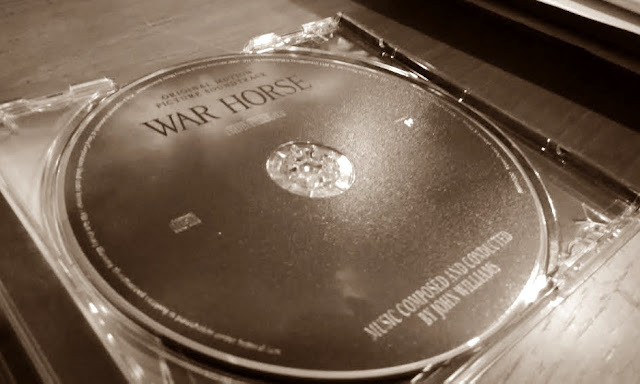 The track later introduces two of the score’s four distinct themes. ‘Remembering Emilie, and Finale’ – An emotional, almost elegiac track that has a middle solo piano interlude that is undoubtedly one of Williams’ most beautiful scoring moments. I remember the wide shot of the sunset as Joey and his owner trek back (in silhouette) to their farmhouse. The track ends with stirring strings as the family reconnects, and a trumpet solo that reminds of Joey’s heroism. ‘The Homecoming’ – An 8-minute track played over the end credits that is a culmination of the score’s main themes, arranged with wondrous flow and rhythm. I see this as a companion piece to the 11-minute end credits track ‘The Peterson House and Finale’ of Lincoln, both tracks capturing the essence of each film perfectly.